The 1917 Improved Left Handed Cutlass, inspired by a Naval design, features a deep blue blade and rosewood handle. Cold Steel’s reproduction is as authentic as it gets. 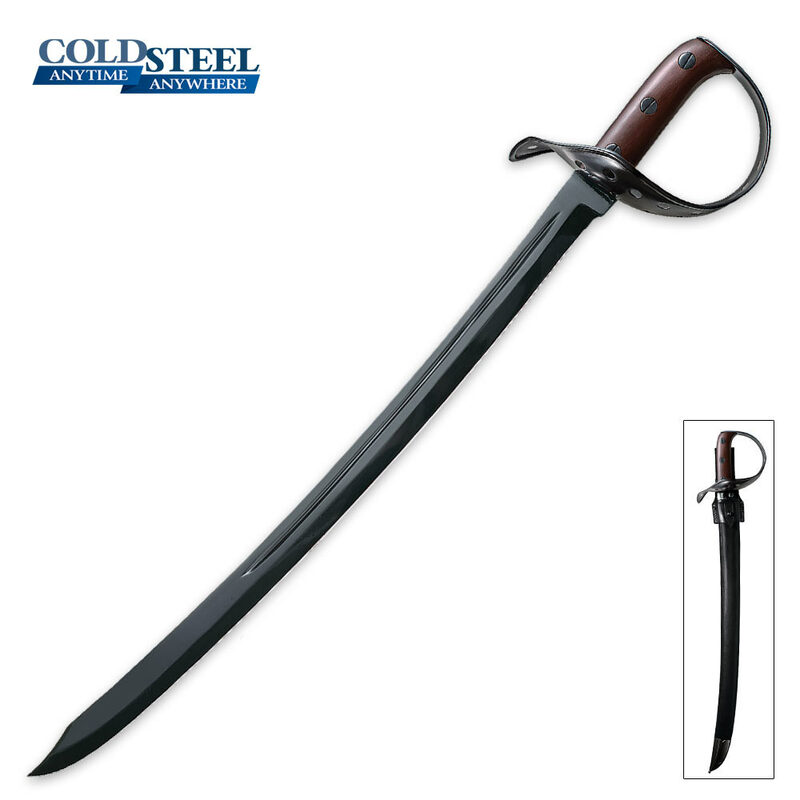 The 25 inch curved blade is constructed of 1055 carbon steel. The cutlass has a carefully crafted guard which has a rolled edge for added hand protection. A genuine leather scabbard is included.